Celotex CF5000 is the new Celotex ‘Full Fill’ cavity wall insulation solution this board is 97mm thick and has the same make up as the Celotex CG5000 although the CF5000 has a mechanically engineered rebated edge which allows the insulation boards to interlock and aids with the resistance of moisture across the cavity construction. With it being a full fill cavity insulation this helps achieve higher ‘u’ values in the cavity than any partial fill celotex board. Celotex CW4000 is the standard cavity wall insulation board made by Celotex it is a polyisocyanurate rigid foam with foil on both sides of the board. This cavity wall insulation is designed for partial fill use and comes in 1200x450 sheets which can be easily installed between wall ties in a cavity wall construction. The low emissivity aluminium foil facings aid thermal performance within the cavity air space and the foam has zero ozone depletion and a low global warming potential. Celotex CW4000 comes in various thicknesses please call for information on stock availability as some are made to order . Celotex CG5000 is the Celotex premium high performance partial fill cavity insulation board product range. With its PIR insulation core and Celotex ‘IQ’ super low emissivity foil facings combined achieves a low lambda value of 0.021 W/mk allowing for thinner or improved thermal solutions. Celotex CG5000 had an A+ rating compared to the BRE Green guide as with the Celotex CW4000 this products is also Zero ODP and low GWP and is manufactured in thicknesses from 50mm to 100mm. 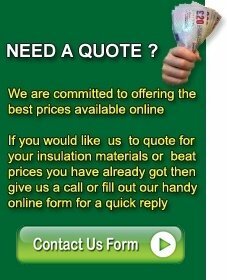 For any information on the Celotex range of cavity wall insulation products or for prices please call our sales office where one of our friendly sales staff will gladly help.